Now the crime records have increased and attack of thefts can become a general issue. But if you want to protect your home, you need to install the home alarm systems. This alarm system can help you to prevent any theft attacks. Apart from that, you can monitor your children and elder family members with this home alarm system. There are many kinds of home alarm systems available in the market, and you can install the alarm according to your requirement. It is recommended to install the security alarm in each and every corner of your home. So it can cover all your premises. What are the benefits of home security alarms? #1. Easy installation: if you want to install the wired home security alarm then you have to spend little extra amount for the installation process. These alarms can be installed by the technicians, and you need to hire an electrical team who can install the wires and along with that, contractors also help you to demolish some of the parts of your house and install the wires inside these segments. It is better that install the wireless home security alarm in your home. These wireless alarms need some basic screws, tools and some of your time. You can easily install these alarms in your home and protect your house effectively. #2. Power backup: Security home alarm systems have battery backup. 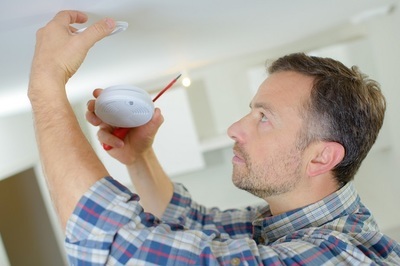 You just need to check the battery on a regular basis, because if the invaders cut your home electricity connection, then these security alarm systems start working with their own battery backup. So you do not have to worry about your electricity connection because your alarm shall work all the time. Even you can keep the alarm switch on during your vacation, and if there is any theft cases occurring in your house, your alarm will start generating the automatic emergency signal to your nearest police station. #3. Wide range: you can install the wireless home security alarm in your property because this alarm has a wide range of coverage. You can install some alarms in your outdoor locality and they can cover your garage, garden and exterior premises easily. But for better security system, you are suggested to install several alarms in your home. #4. Cellular system: most of the wireless home security alarms have an inbuilt mobile radiation system. If the burglar cuts your electricity and phone lines, then your alarms can send the signal to the listed people’s mobile phones automatically. #5. Affordability: you can find many types of home security alarms in the market and you can easily install them according to your affordability. These systems have various price ranges according to their features, and if you live in a large house then you need to install separate alarms. Else you can try out with some small alarm system for the first time. How do you avail the home security alarm system? It is very easy to install the security alarm in your home. You can search online and find many portals which design the different home security alarms, and they can suggest you the right alarm according to your requirement and your home area. Apart from that you can take help from your family and neighbors who have already installed the security alarms in their home. •	It is suggested to hire the company professionals who can install the security alarm properly. •	You must consult with the technicians before installation of the alarm, because it may need some demolition or alteration of your house. •	Before installation, you need to compare the prices of the alarms. For more knowledge about the home security alarms, you can search on the internet. So now you can stay protected with total home security alarm system all the time.